Three ways to manage your ipads in your classrooms. mating your campus communication systems. The AMX SchoolView solution takes advantage of existing school data networks to streamline bell schedules, bring networked precision to clocks, and deliver audio paging and streaming video to an entire school, a single room, or anywhere on campus. 1. Infrastructure. Is your school or organization prepared to handle increased bandwidth from using a cloud-based service? Do you have enough access points and a back-up plan if something goes down? Is your IT department properly staffed? 2. Education. Are your students, parents, and faculty aware of the capabilities and limitations of Google Apps? Do they understand the safety issues of using a web-based product and how to effectively monitor use? 3. Scalability. Are you prepared for the changes in workflow and group dynamics this will bring to your school or organization? Do you have a rollout plan that accounts for differences in development stages and education level? Dr. Christine Johns a recognized leader in creating a college-ready culture in a region heavily dependent on blue-collar jobs provided by the manufacturing and the automotive industry. Utica has earned a national reputation for its "Reaching Higher" initiative. Under Dr. Johns' leadership, student achievement levels are the highest in the district's history and remain among the best in the state and the county. For more than two decades in elected office, Gov. Bob Wise delivered numerous speeches explaining why he was taking a controversial action. To prepare for opponents, he often conducted the mental exercise of composing the speech he thought they would give. With some state legislators and governors pushing hard to stop the implementation of the Common Core State Standards, Gov. Wise decided to pretend that once more he was delivering the opponent's speech. Logitech has announced a full-sized wired iPad keyboard, it has a spill-resistant design, three-year warranty and key life of over 5 million strokes, comes in either lightning or 30-pin versions. The Lightning model will ship in August and the last-gen iPad model in November for $60 each. Transwestern manages the award-winning Pennzoil Place, two 36-story towers in Houston, Texas owned by Metropolis Investment Holdings. By automating processes from temperature controls to work-order management, helping to increase tenant satisfaction, lowering energy costs, Transwestern leveraged the Internet of Everything to transform Pennzoil Place into a smart, connected, energy efficient building. Is a new world ahead of us or will we become the borg as in Star Trek. 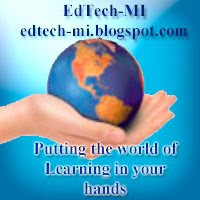 Here is an interview with Mark Smith who is the recently hired MACUL Director. Khan Academy's mission is to provide a free world class education for anyone anywhere. They're using cutting edge technology to teach millions of students worldwide. CK-12 Math Practice and CK-12 Science Practice offer free, standards-aligned practice for over 2,000 concepts. Choose from a comprehensive library of middle and high school math concepts, or search by keyword. These time-saving apps seamlessly integrate with Edmodo -- practice quizzes are posted as assignments and student scores automatically show up in your Edmodo Gradebook. CK-12 Math Practice App Subjects: Algebra, Geometry, Arithmetic, Statistics, Probability, Measurement, Trigonometry, and Calculus. CK-12 Science Practice App Subjects: Earth Science, Biology, Chemistry, and Physics. Join CK-12 member, Arjan Harjani, as he discusses how to use open educational resources (OER) to create a more customized and engaged class. Are traditional textbooks cutting it? Ergotron charging carts and storage cabinets allow you to sync, charge and store iPad devices, Chromebooks, laptops and tablets while providing secure, controlled access to faculty, staff and students. The Michigan Association for Computer Users in Learning (MACUL) Board of Directors has announced Mark Smith as their new Executive Director. Smith is currently Dean of STEM for the L&N STEM Academy in Knoxville, Tennessee. MACUL strives to be a catalyst of innovation in education by strengthening relationships among educators, leading pedagogical change, and empowering schools with world-class professional development opportunities. "Mark Smith’s wealth of knowledge and passion for education gives him the capacity to strategically lead and guide MACUL’s mission forward,” said Pam Shoemaker, MACUL President. Smith has a Juris Doctor degree from Dayton School of Law with a focus in intellectual property law and a Bachelor of Science degree from James Madison University. At the L&N STEM Academy, he works as the lead developer of programming and developed student mentoring partnerships with over 90 businesses. Additionally, Smith provides STEM professional development in ten states and has presented at several Educational Technology Conferences. He is also the author of a 4-year ARC STEM Curriculum that is held up as a model in Tennessee and positively endorsed through the STEMx network via TSIN (Tennessee STEM Innovation Network). Smith replaces Ric Wiltse who served as MACUL Executive Director since 1999. Wiltse will become MACUL Executive Director Emeritus when Smith starts his new position on July 1. The Michigan Association for Computer Users in Learning (MACUL) is a 501 (c) (3) non-profit organization established in 1975 dedicated to assisting the education community through support, promotion, and leadership in the effective use of educational technology. Its 14,000+ members come from Michigan, neighboring midwest states and Canada. Ten special interest groups (SIG’s) offer members opportunities for collegial networking. MACUL sponsors a variety of programs and initiatives to support its membership. These activities include grants for innovative uses of educational technology, Michigan’s largest education conference, regional training events, award programs, and a quarterly journal. MACUL is an organizational affiliate of the International Society for Technology in Education (ISTE). CoSN What do we need to do to make sure our networks are ready for the next phase of educational technology. This short video is a little over the top, but it is not way-off base. Keep local control, we need to stop the state and federal government from taking away our local control of our schools. Tell the FCC how important adequate broadband connectivity is to the future success of America's schools. Please also “click forward” and send this request to friends and colleagues who may agree! Digital learning's potential to improve learning will not be realized without robust and reliable internet connection in schools and classrooms. We have an opportunity to tell policymakers at the Federal Communications Commission (FCC) how important broadband access is to realizing this potential for all students. Please sign our petition TODAY and ask your friends and colleagues to do the same! The more people who show their support, the stronger our message will be. All submissions received by noon on Friday, April 18th will be included. It only takes a minute to add your support. It will make a very big difference! If you want to share videos with students and want to make sure that they are appropriate for students. How to Delete Your Apple ID : Tech Yeah! Jean Tower, CoSN Chair, discusses our new Online Collaborative Learning Site for CETL Preparation. Check out the new platform today! They happen unexpectedly -- those "aha!" moments when a student sees a theoretical concept appear in practical situations. 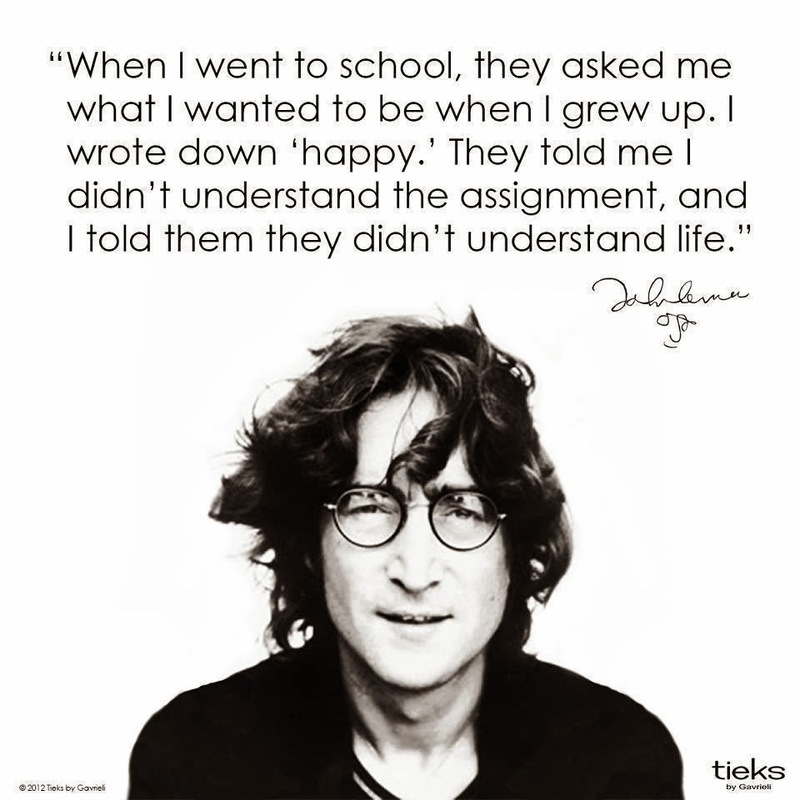 Those are the moments when education truly becomes meaningful. ACU assistant professor of teacher education Billie McConnell uses blogs for students to report on these encounters with class material in the course of their everyday lives. "Next-wave mobility & the 3 ages of information" - Dr. Bill Rankin explains how, throughout history, learning has changed with technology and how Abilene Christian University is connected with mobile learning. Mobile Learning: What is that? The best meetings are face-to-face—we can brainstorm openly, collaborate closely and make faster decisions. But these days, we often connect with each other from far-flung locations, coordinating time zones and dialing into conference calls from our phones. Meetings need to catch up with the way we work—they need to be face-to-face, easier to join, and available from anywhere and any device. Starting today, they can be: Any company can upgrade their meeting rooms with a new Chromebox, built on the Chrome principles of speed, simplicity and security. Instant meeting room. Chromebox for meetings comes with a blazing-fast Intel Core i7-based Chromebox, a high-definition camera, a combined microphone and speaker unit and a remote control. Set up your entire room in minutes and easily manage all meeting rooms from a web-based management console. All you need is the display in your room, and you’re good to go. Chromebox for meetings is available in the U.S. today starting at $999, which includes the ASUS Chromebox and everything you need to get going. That means for the same price that companies have typically paid for one meeting room, they'll be able to outfit 10 rooms—or more. CDW and SYNNEX will help bring Chromebox for meetings to customers and resellers, and Chromeboxes from HP and Dell will be available for meetings in the coming months. Later this year, we plan to launch in Australia, Canada, France, Japan, New Zealand, Spain and the U.K. Companies like Eventbrite, Gilt, oDesk and Woolworths have been testing Chromebox for meetings, and have told us that they love the simple setup, the ease of use, and being able to see their colleagues in other offices. More importantly, the low price will enable them to extend these benefits to even more employees, rooms and offices. Find out how Chromebox for meetings can help you and your coworkers see eye-to-eye. Happy meetings, everyone! What is everyslide.com and how can it help you with formative assessment in your classroom. Below is some follow up information on the student response system. Free for educators, web-based interactive presentation tool everyslide.com is a system that automatically turns your existing PowerPoint, Keynote or LaTex slides into a fully interactive presentation. With everyslide.com , students see your slides on their smartphones, tablets and laptops. At any time you can start a poll, a quiz, or ask students to point at interesting (or confusing) areas of the displayed slide -- all with your own content, created in whatever presentation software you already use. Everyslide.com is used by over 100,000 people at over 300 schools and universities worldwide, including Berkeley, Columbia, Harvard and many others. Everyslide.com falls into a category of Student Response Systems (SRS). Research shows that the use of SRS in class dramatically improves students' focus and knowledge retention, and thus have a very positive influence on learning outcomes. From my own teaching experience, as well as the feedback I received from many educators, I can say you that students love following and interacting with lectures on their own computing devices. The system is free for anonymous use by students. If you want to keep a record of students participation and interactions, e.g. to review it for grading purposes, you have to pay a small fee to cover the storage costs - but that is entirely up to you. Here is the contact information for the companies founder. Here is a tool to get instant feed back from your students. Tony Inglese; ed tech leader highlights the value of CoSN. What is your home work assignment in life?